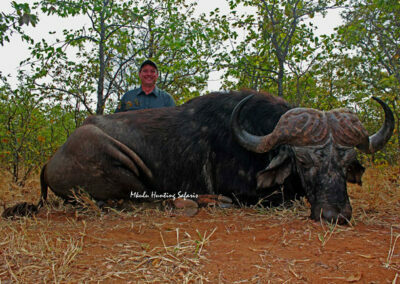 Wing shooting in South Africa with Mkulu African Hunting Safaris. 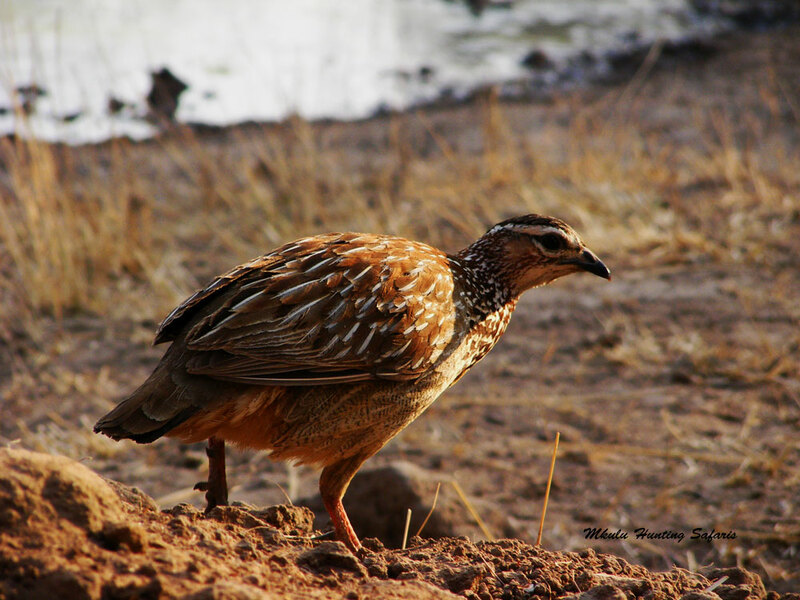 Bird hunting and wing shooting in South Africa was initially regarded as a sport for non- game hunting enthusiasts. In years gone by few hunters brought their trusty shotguns along on a hunt with the occasional PH having a 22 or a 12 ga available to take odd shots at passing birds. Birds hunted in this manner soon became top notch with the camp Chef preparing whatever was brought to camp. 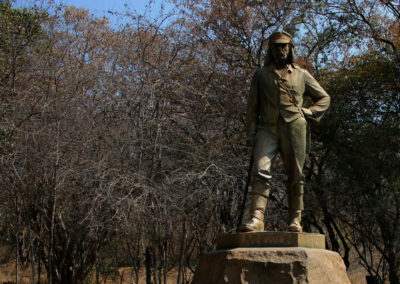 Fortunately, bird hunting and wing shooting in South Africa soon picked up among the locals and foreign hunters alike. 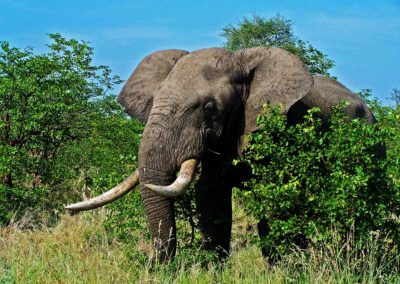 This made bird hunting and wing shooting in South Africa an extremely popular option as a stand-alone hunt, or as an add-on to an existing hunt. Bird hunting and wing shooting in South Africa has since developed into a hunt in its own right. 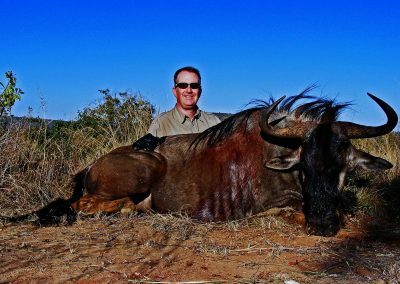 Some PH’s and bird hunting outfitters have since starting specializing in wing shooting and bird hunting operations in South Africa. Consequently, this lead to the establishment and furthering of the use of gun dogs, more commonly known as German Shorthair Pointers (GSP’s). The skill level of both gun dog and master of the hunt soon picked up. 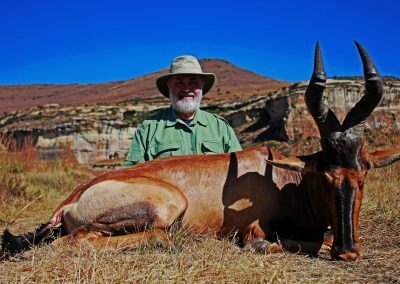 The South African bird hunting and wing shooting outfitters have become highly qualified and true masters of the art of bird hunting in South Africa. Wing shooting in South Africa takes hours of diligent off-season training of the hyper-active GSP’s to keep them ready for wing shooting season. 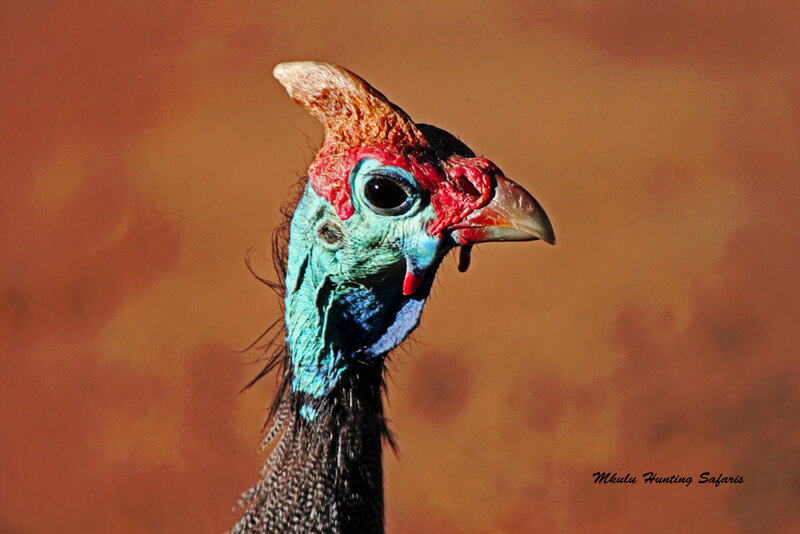 True bird hunting outfitters in South Africa do not come cheap due to the limited official wing shooting season. It is one thing to take the 22 and shoot the odd dove sitting in a lone Acacia tree. It is a whole different kettle of fish when a bird hunter would like to hunt ducks, geese and several species of francolin on the same hunt. Shooting doves and pigeons over corn fields usually happens during the heat of the day that is not usually associated with waterfowl hunting. 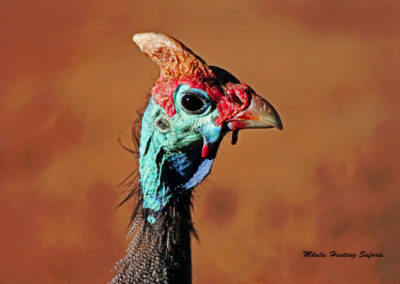 We offer bird hunting and wing shooting in South Africa for the bird hunter who would like to utilize between 250 and 500 12 ga shotgun shells per day. 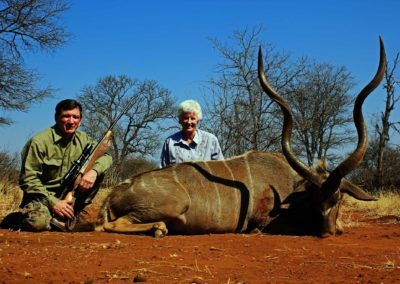 Dedicated bird hunting and wing shooting packages in South Africa for the dedicated bird hunter wishing to discharge in excess of 250 12 ga shotgun shells per day. 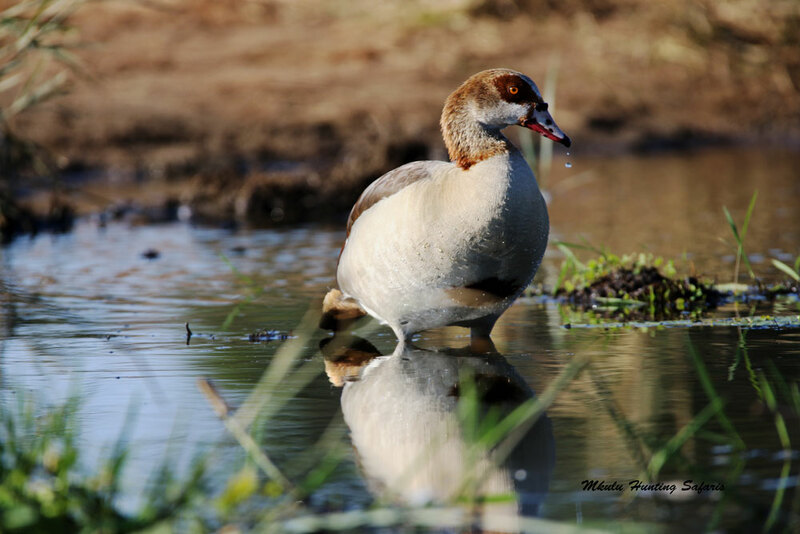 Bird hunting and wing shooting in South Africa is conducted over static- and mobile bird hunting decoys for pigeons, doves and geese. Upland game bird hunting is conducted while walking with the gun dogs running to-and-fro sniffing for birds. When a bird / birds are located, the GSP commences into a point at which stage the bird hunter should be ready. 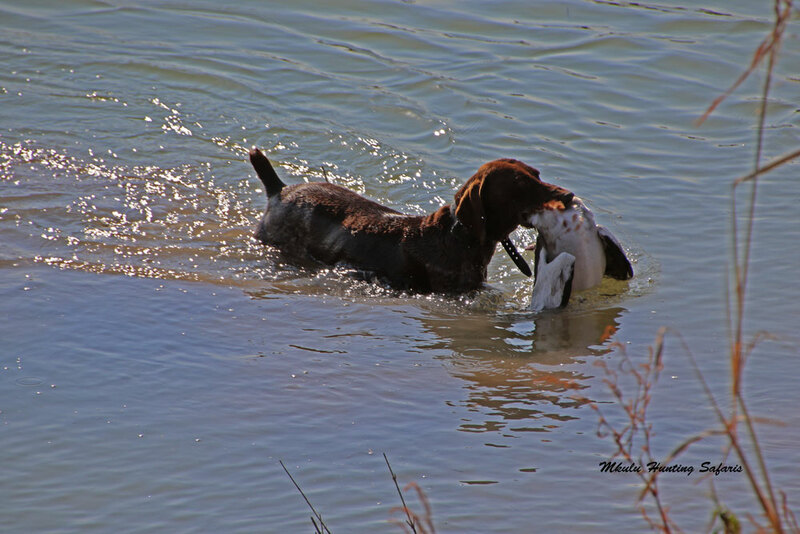 Once the master of the hunt issues the command the gun dogs flush the bird offering the bird hunter a shot. 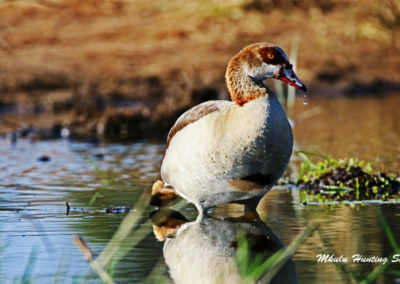 Bird hunting season South Africa is from 1 May to 31 August annually. 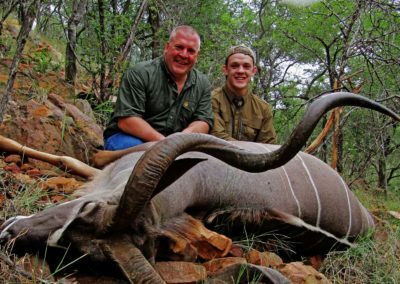 Wing shooting season South Africa is from 1 May to 31 August annually. 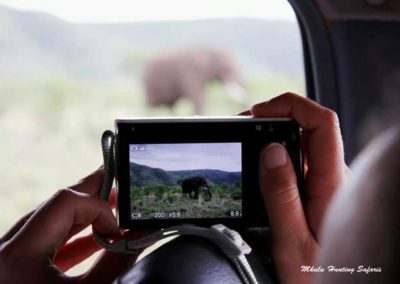 From the above it is abundantly clear Mkulu Hunting Safaris can keep you busy on a dedicated bird hunting in South Africa safari. 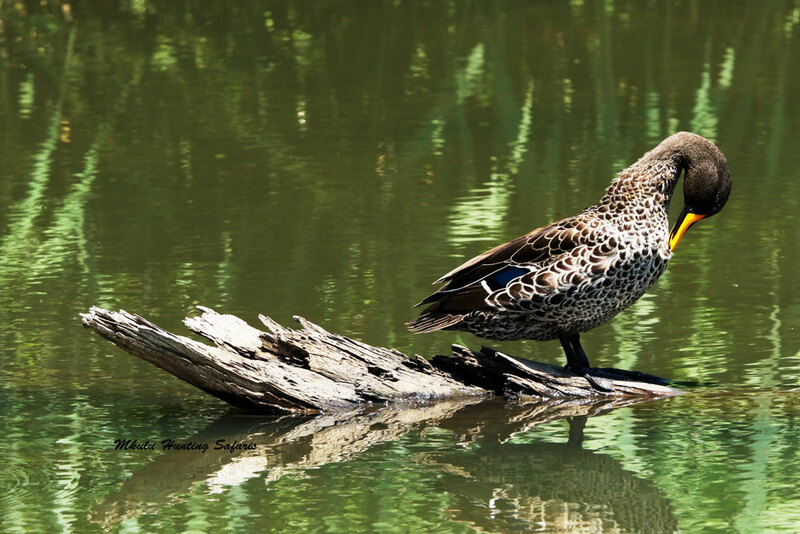 If you are a supreme duck hunter we can set you up to hunt all thirteen duck species that occur as native birds in South Africa. 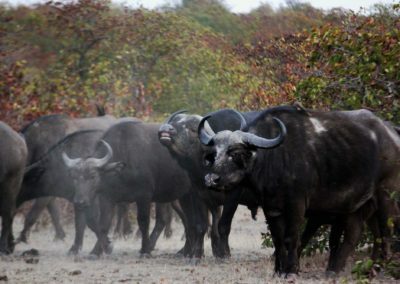 This will be a wing shooting safari in South Africa of a lifetime. Be prepared to pay a little extra for a whole lot more. Below are a few of our bird hunting in South Africa excursions. Due to space limitations we cannot publish all the pictures in our data base.